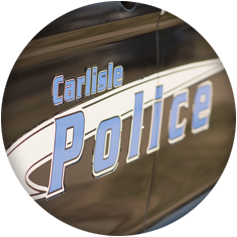 The Municipality of Carlisle is currently seeking applications for full-time Police Officers. Click below for position description and to learn how to apply. This is specialized work in the protection of life and property through the enforcement of laws and ordinances for the Municipality of Carlisle and the State of Ohio in the Municipality of Carlisle's Police Department. An employee in this class is responsible for maintaining law and order and performing related assignments such as traffic control, criminal investigations, and crime prevention. Download the full job announcement and description here. Complete a REQUIRED entrance examination with the National Testing Network (see job announcement in "Position Description" tab above for more information). Please contact the Carlisle Police Clerk at 937.746.0117 with any questions. 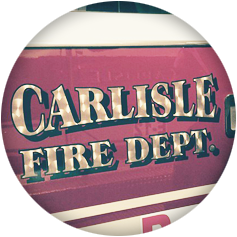 The Municipality of Carlisle is currently seeking applications for a Reserve Officer. Click below for position description and to learn how to apply. The Municipality of Carlisle is accepting applications for Reserve Police Officers. Reserve Officers assist our Full-Time Officers with their patrol duties and assist the Department with special events and parades. Applications will be reviewed by the Carlisle Police Chief. Selected candidates will be contacted for interviews. The Municipality of Carlisle is an equal opportunity employer. Please contact the Carlisle Police Clerk at (937) 746-0117 with any questions. The Municipality of Carlisle is currently accepting applications for the position of Volunteer Firefighter. Download the application here. The Municipality of Carlisle is always accepting applications from qualified individuals, regardless if there are openings. Applications will be kept on file for one (1) year from the submission date. Click on the link below to download the current application.